What does all this mean in terms of image quality? Hard to say, but in theory the new meter should be more accurate, all things being equal. I did a very simple backyard test, comparing different subjects with the same lens. In this test, the D4 delivered 1/500s @f/8, while the D700 produced 1/400s @f/8. 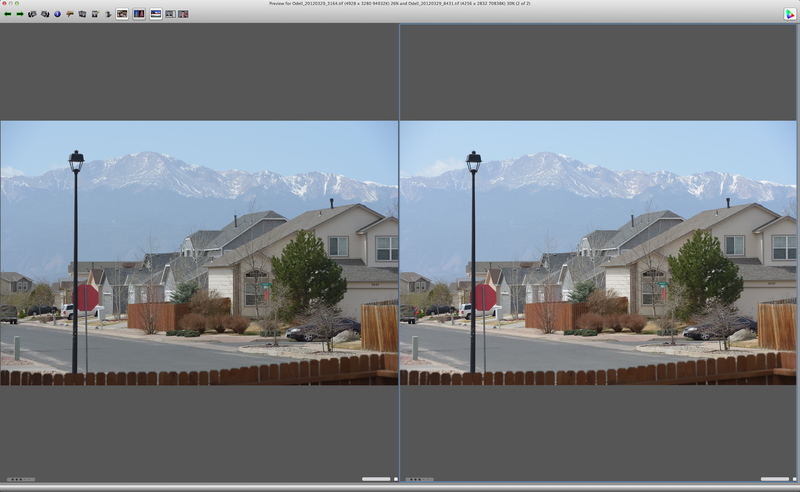 Both exposures look good, but the D700 exposes 1/3EV to the right of the D4. 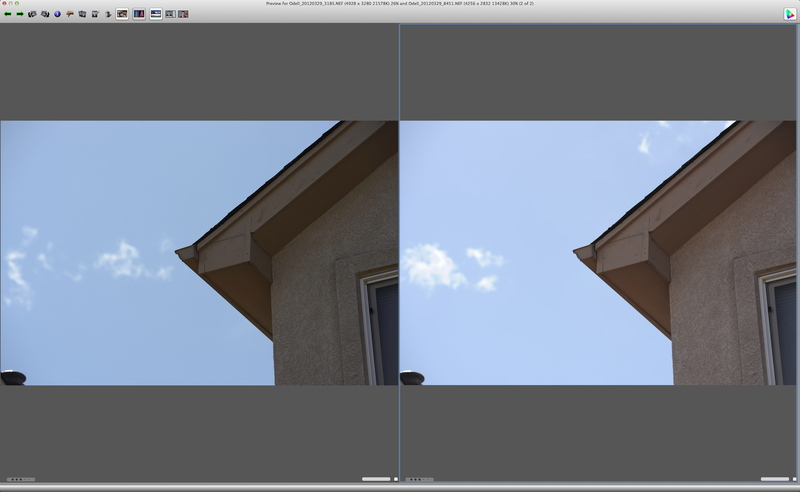 In this test, the D4 metered 1/800s @f/5.6, while the D700 produced 1/640s @f/5.6. Again, the D4 was about 1/3EV darker than the D700. The differences here are subtle, and both images have specular highlights. For this test, I deliberately put the focus point on a back-lit subject to see what the meter would do. In this case, I got a 2/3EV difference between the two cameras, with the D4 exposing at 1/1600s @f/5.6 and the D700 producing 1/1000 @f/5.6. The D4 image is noticeably darker. While I don’t have the equipment to do full-scale testing, the bottom line is that in most conditions, the new 3D Color Matrix III meter in the Nikon D4/D800 appears to expose for highlights in the scene more so than the D700’s meter does. When the D3/D300/D700 cameras first came out, photographers commented that they seemed to expose more to the right, i.e., over-expose. This may have been a deliberate attempt on Nikon’s part to help mitigate shadow noise. The D4 meter appears to underexpose by 1/3 to 2/3EV compared to the previous model. Should this concern you? In general, blown highlights are the bane of digital photographers, as they are generally unrecoverable (especially if you shoot JPEG). Underexposed images can be a problem, too, especially at high ISOs. As shadow recovery is applied, noise can become more apparent. Most of the time, I prefer images that hold highlight detail, so the metering behavior of the D4 seems good to me. It’s still easier to recover shadow detail than blown highlights, even if you shoot RAW. Where things might get interesting is if you are switching between two cameras; you’ll need to understand that they might not meter the same scene identically. At the end of the day, it comes down to personal preference. The D4’s custom setting b6 (Exposure Fine Tuning) allows you to change the default metering behavior by ±1EV in 1/6EV increments. Hmmm, from one that sold his D700 for an undelivered D800, and have had mixed emotions about the D800 from the start. Hmmmm. You will like the D800. 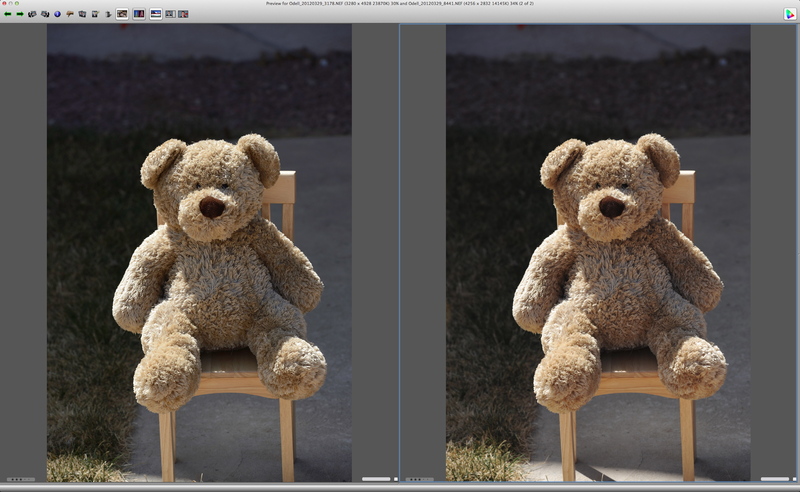 My comparison is not to suggest that the D4/D800 has a metering problem. It is to show that it meters differently than the D700/D3. Many people didn’t like the D700 metering when it came out as it tended to blow highlights. The D4 meter is less prone to that. If I were having second thoughts about a D800, it would be because I’d produce a 75MB RAW file with each click! That’s been my main concern from the get go. Why Why Why 36MP! As an in dark / in house / in concert dark “moving object “/ moving persons” photo shooter, I need low ISO specs without noise. I have a flash, but hardly use it now with my D700. I’m very happy with this one. Was number 2, and is still number 4 in the world short after D800 & D4 came out. For the rest, for Low ISO, the D3s is still worlds best low ISO shooter, even the new D4 and the D800 cannot reach that level. Actually, the D4 pretty much matches the D3s; especially when you factor in the 16MP image files. What slight edge the D3s has is really only apparent at the pixel level. 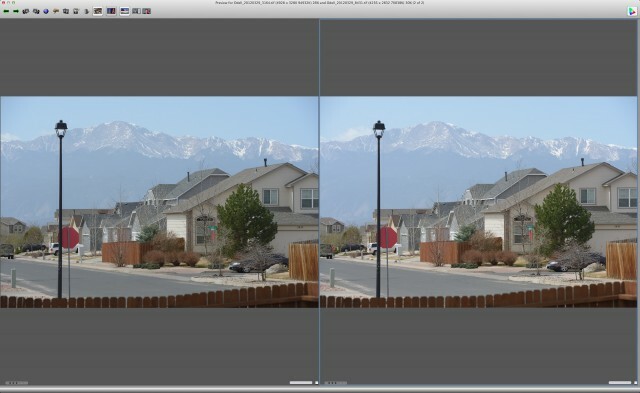 This is the same reason why D800 shots look so good at normal viewing sizes– they’ve been downsampled significantly. 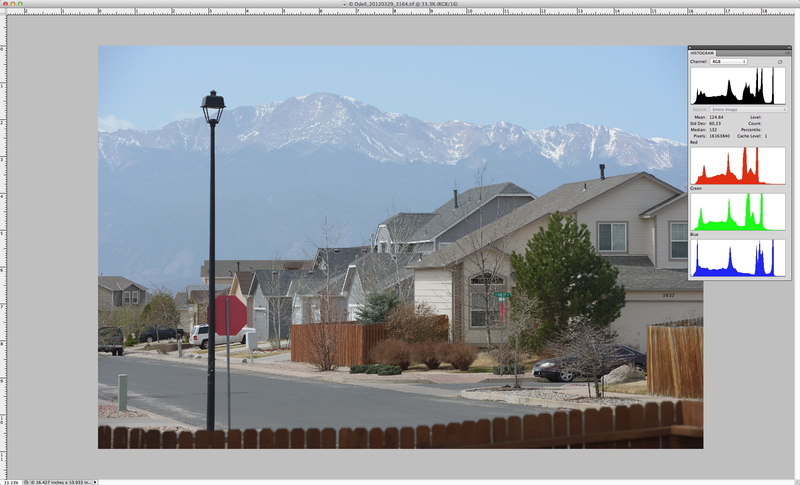 At 100% the D800 images look a lot like D7000 images (as you might expect), but you’ll never display them that large. Keep in mind that when you CROP a D800 image, you’re zooming in on those pixels so noise will be more apparent, as will subject motion and focus accuracy. I’m not saying that the D800 won’t deliver, but anyone who thinks they can just be lazy and crop in all the time won’t be getting the benefit of the downsampled image quality. Interestingly, yours is the second report I have seen online of the D4 metering darker, so this seems to be by design. As it is, my D3s/D700 have custom setting b6 set to -1/3EV, so this looks good to me! I was told by NPS (Nikon Pro Service) that this is by design. All “pro” cameras of the Nikon lineup underexpose by -1/3EV. I’ve just moved from a D3/D700 to a D4/D700 setup for weddings. My experience is similar to yours but with one big difference. Skin and face. When the D4 sees a face, it seems to assume that we want this exposed “well”. It will allow the background to clip quite readily to get the faces right. What it also does is expose for the groomsmen in the dark suits better than the D3. Again, probably because of the faces. On the D3, it was always worth dialling in a stop of compensation to stop the faces clipping. the D4 will over expose the faces but they are within the headroom of the raw. In the first wedding I shot, I can say that I lost no faces due to auto-exposure problems. I’ve concluded that the D700 uses algorithm’s that produce VERY contrasty photos. This means that a properly exposed scene with moderately bright highlights/lights will exhibit a light curve that makes the highlights unnaturally bright. I’ve noticed this in natural light portraits, even on cloudy days. The highlights are difficult to tame. So unfortunately anything with direct light, will have blown highlights. However, in low light, natural light photography, the D700’s contrast rendition is absolutely brilliant. Probably still one of the best at micro contrast rendition still in 2015. This is where the D700 image quality shines. It was engineered for extremely contrasty I.Q. This is all dependent on what camera settings (Picture Control) you use, and whether you shoot RAW and what RAW converter you use. 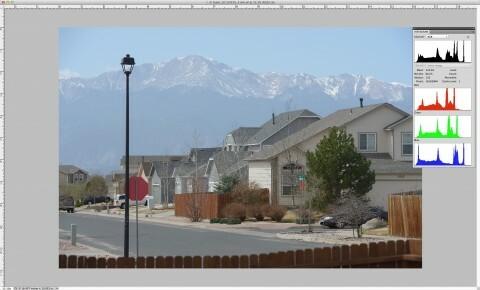 The in-camera settings define contrast (tone curves) but are not applied by 3rd-party RAW conversion software. I am mildly experienced with digital photography, last was D300, loved it ! I’m retiring in afew years and want FX, my last camera. I’m from So Utah and live in Alabama. I will be shooting Zion’s Park, and many others, all natural light. I was leaning to the D700 however I think it will limit my abilities later. I think I need the D4. Please please reply and yes, I want to sell my prints ! Get a D810 and be very happy. It’s a superior landscape camera.